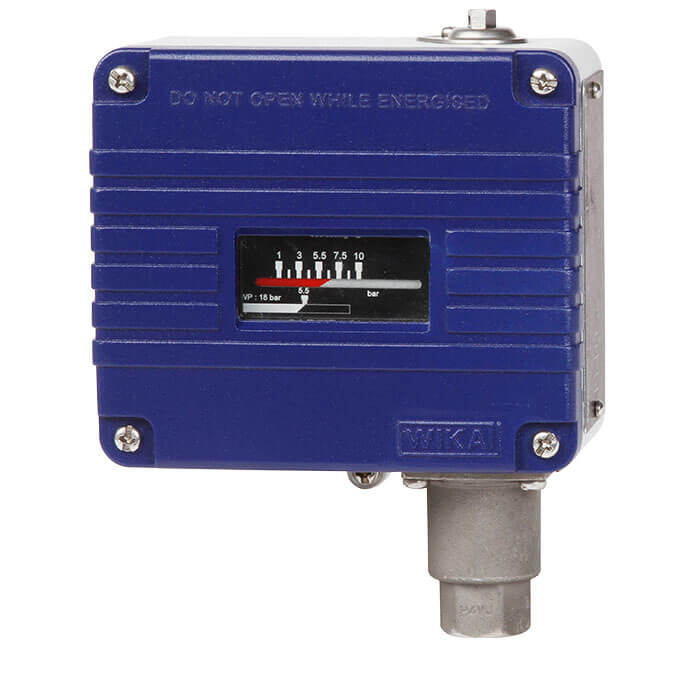 The model PSM-700 mechanical pressure switch has been designed for control and monitoring applications. The measuring element is a fully welded bellow made of stainless steel 316L. This corrosion-resistant pressure switch is suitable for a broad range of media used in the process industry. The case consists of a high-grade aluminium alloy with which the pressure switch can withstand the harsh operating conditions of the process industry. The model PSM-700 is equipped with UL listed micro switches to ensure high endurance with durable operation and long service life. The model PSM-700 has a high switch point repeatability of ≤ 0.5 %, which enables reliable switching. Adjustable switch differential to a wide range of up to 60 % of the setting range to realise flexible on/off controls This wide setting range is often needed for the on/off control mode of cyclic applications. The switch point can be specified on site. With the tamper proofing, which is available as an option, unauthorised adjustment of the switch point can be prevented.